Combining his expertise of emerging technologies and cross-industry experience, Fausto helps clients architect big data platforms and build data-driven products. He has extensive experience with data platforms, analytical processes, and distributed systems. His work has encapsulated various architectures and techniques including: cloud-based distributed architectures, stream processing, distributed pub-sub, complex event processing, distributed in-memory caching, collaborative filtering, and market-mix optimization. He has experience architecting and developing solutions utilizing a wide range of technologies including: Hadoop, Cassandra, Storm, Kafka, Hive, Pig, and Pentaho. 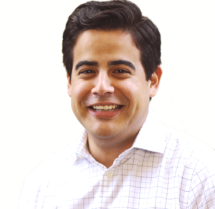 Prior to joining SVDS, Fausto was a technical lead at Accenture Technology Labs, where he helped lead the development of multiple analytical systems including large-scale recommender systems and real-time predictive analytics platforms. He was also responsible for the redesign of the data management strategy for a proprietary marketing analytics platform. Fausto has presented his work at industry conferences including Strata + Hadoop World and Cassandra Summit. If you are on the path to being a data-driven company, you have to be on the path to being a development-enabled company. In this post, we’re going to go over the capabilities you need to have in place in order to successfully build and maintain data systems and data infrastructure. In this post, Fausto talks about the characteristics that differentiate data infrastructure development from traditional development, and highlights key issues to look out for. In this post, we explain why anyone transforming their company into a data-driven organization should care about software development best practices, even if they don’t consider themselves a software company. Modern data architectures look radically different as we move towards a new idea of data platforms. During this “ask us anything” webinar we will discuss our experiences building new data architectures and take your questions. SVDS presents two sessions at the Cassandra Summit: a look at the migration of our client Allant’s CDI-keying engine from Oracle to Cassandra; and a how-to on using Cassandra as a platform for building a custom distributed system.